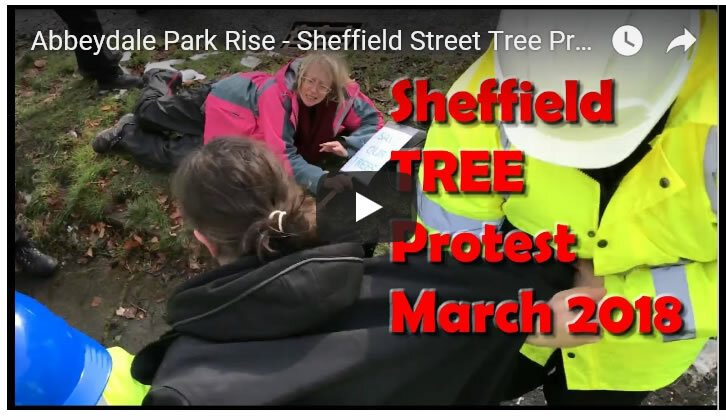 The thawing of the 'Beast from the East' has seen an huge expansion in the level of force deployed against Sheffield's tree felling protestors, with now at least 35 police officers attending felling sites, accompanying 20 or so SIA security and a dozen or so chainsaw wielding Arb's, as has been the case on Abbeydale Park Rise this week. All to fell 20 or so relatively small sized cherry trees that have been the centre point for the areas annual Christmas Lights charity event. The street saw numerous arrests, and at least one person injured as a consequence the deployment of such huge manpower against peacefully demonstrating residents of the Abbeydale Park Rise and nearby streets such as Chatsworth Road. 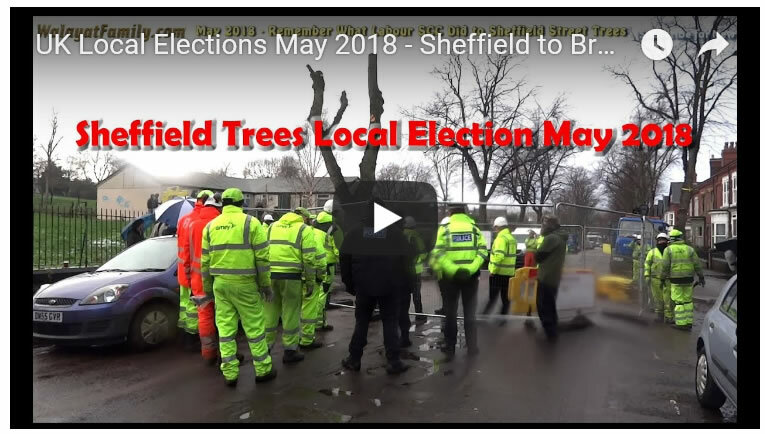 So whilst the mainstream press mostly paints a bias picture in favour of the establishment, here is actually what happened during the protest this week on Abbeydale Park Rise, which illustrates to large extent what is taking place on many Sheffield streets on a near daily basis.